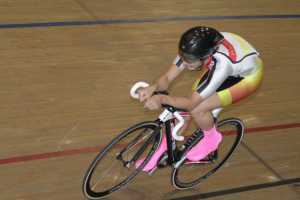 Michael Culling is eyeing next year's junior world track championships after another star performance at last week's national age group event in Invercargill. Culling, who won four national titles in 2011, went one better this year with golds in the 10km Points race, the 2000m individual pursuit, 7.5km scratch race, 3000m team pursuit and sprint. In fact, it took a New Zealand record-breaking ride from Tasman's Quinn Karwowski to force Culling in to second place in the 500m time trial. In his last year in the under-17 division, the Southland Boys' High School year 12 pupil will now switch his focus to the road. Having spent all of his young cycling career under the watchful ey of Southland's Mr Coaching, Laurie Tall, the 16 year old is now being coached by 2012 New Zealand elite road champion James Williamson, from Alexandra. With Williamson, who last year rode for the Pure Black Racing team, still chasing his own ambitions, some of Culling's training regime is handles by Invercargill's Sier Vermunt. "Laurie has been great and to now be with someone who is still riding, it's great to have him," Culling said. Culling had done a few races in Central Otago when Williamson asked if he would like to become part of a new business he was setting up. "He had been such an idol for me," Culling said. "The Williamsons are all big names in cycling, so to be coached by one is pretty good." Culling was especially proud of his result in the individual pursuit, where he took 3 seconds off his personal best. That performance was born from some hard training sessions where he would go for 2 minutes as hard as he could on an indoor trainer. They were gutbusting sessions but while he would often have a bucket placed nearby he hadn't had to use it. Stepping up to the bigger gearing allowed in the under-19 division was exciting, Culling said. "Definitely, I'll be giving it a real good crack at going to junior worlds as a first year," he said.